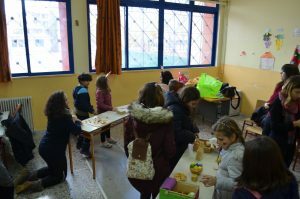 A project was carried out in Lefkada, Greece from 11 to 22 December 2018: “Edu-Game & sustainable: Educate for it” ! 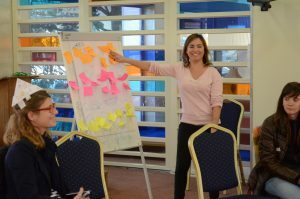 This project brought together 37 participants from 6 different European countries. It aims primarily to make young people aware of what online games can create and make them receptive to the responsible choices of healthy toys, which go hand in hand with their psychic development. 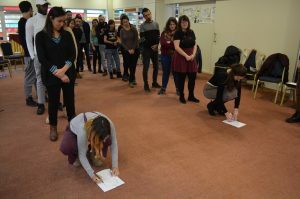 But it also aims to improve the skills of youth and youth leaders, so that they can play a critical role in their local communities, encourage and influence their peers to use toys with a pedagogical and sustainable dimension. The participants were able to share their experience and develop certain skills and competences that could help to emerge a culture of consumption of such toys among young people. Develop beneficiaries’ skills in terms of industry andresponsible consumption of toys for young people. To develop the skills of a group of beneficiaries in terms of social entrepreneurship in the field of educational and non-harmful toys. Create interactive awareness videos and online training. Develop a culture of responsible and sustainable consumption of toys among young educators and the general public through educational videos. Develop the creative and innovative spirit of young people by helping them create their ecological and educational toys.